With the release of the latest Bond, “Spectre”, a whole bunch of internet articles listed rankings of the Bond theme songs. Sultry “Nobody Does it Better” generally wound up the #1 choice of most of these polls, followed by the classic “Goldfinger” as the #2, but then their opinions varied more greatly on the rest of the songs (Everybody seems to agree to disparage “The Man with the Golden Gun”, though). I love those two favorites, as well as other favorites like the rock-operatic “Live and Let Die”, Adele’s stupendous “Skyfall”, and guilty pleasure “You Only Live Twice”. And of course the undeniable original Monty Norman Orchestra instrumental. My personal sentimental favorite is the end credit Bond Theme from “One Her Majesty’s Secret Service”: “We Have All the Time in the World”, sung by Louis Armstrong. Today’s blog piece is about the curious case of the two versions for “For Your Eyes Only”. Sheena Easton’s “For Your Eyes Only”, polished to a perfect 80’s sheen, is the version that graces the movie credit sequence of “For Your Eyes Only”, with Sheena Easton being the first singer of a Bond theme to be seen as well as heard during said sequence. But Blondie’s 1960’s spy movie flavored “For Your Eyes Only” was written first. And I keep coming across different versions of the story about the writing and rejection of Blondie’s “For Your Eyes Only”. Some say Blondie wrote their version in hopes of being selected by the producers. Some say the producers commissioned Blondie to write a version, but then preferred Bill Conti and Mike Leeson’s version as sung by Sheena Easton. But there is a third, more detailed theory. The story I’m inclined to believe I heard told on a podcast by someone who sounded very authoritative, claiming Blondie’s “For Your Eyes Only” ultimately was set aside because the producers insisted that Blondie’s lead singer Debbie Harry be credited as the sole artist performing the song, but Debbie Harry insisted that the band, Blondie, get the credit. 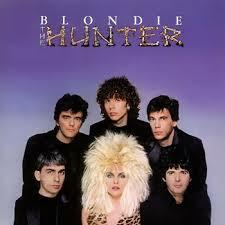 Having reached an impasse, the two parties parted ways, a new song was commissioned for the movie, and Blondie put their version on their sixth album, 1982’s “The Hunter”. That version of what happened with the two versions of “For Your Eyes Only” is certainly more detailed than anything else I’ve come across, but as I can’t remember who exactly made this claim or on what podcast I actually heard this hearsay, I should remind you, dear reader, that you are reading someone’s personal blog, and not a deeply reputable distinguished news source. Sheena Easton’s “For Your Eyes Only” would go on to be the third Bond theme nominated for an Academy Award for Best Original Song (Adele’s “Skyfall” would be the fourth and the first to win; improbably “Goldfinger” wasn’t nominated, but then there are a lot of great 1960’s movie songs that didn’t get nominated for an Oscar, just ask The Beatles). Blondie wouldn’t put out another album of original material for 17 years (although I don’t think “For Your Eyes Only” had anything to do with causing that huge hiatus). Which do I prefer? Easton’s suits the early 1980’s very well with its high sheen (there I go again with that pun) and the melody has strong, simple hooks that work well as a Bond theme. Blondie’s is more quirky and maybe doesn’t fit together as slickly, but it hearkens cleverly to a 1960’s spy movie vibe with its lyrics and guitar licks in a way that even the post “Dr. 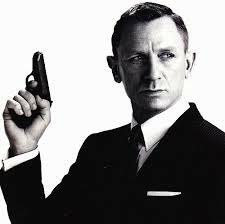 No” Bond themes themselves didn’t in the 1960’s. So it depends on my mood. One is a sweet dip in a warm moonlit lake. The other is a fun b-movie jaunt in spy game make believe. This entry was posted in Cinema Scope, Melodies Linger On and tagged Academy Award, Adele, Blondie, For Your Eyes Only, Goldfinger, James Bond, Live and Let Die, Louis Armstrong, Monty Norman, Nancy Sinatra, Nobody Does It Better, Sheena Easton, Skyfall, Spectre, theme, You Only Live Twice. Bookmark the permalink.